If you see me at the playground or at the next story time, don’t think I am rude. You may not understand what I say, or agree with what I am doing, but raising my child bilingual is one of the most important decisions I have made so far in parenting. It hasn’t been that long, my son is not yet two, but starting early- meaning at birth and even earlier- is important when it comes to raising bilingual children. I have many reasons why I want him to speak Spanish right away. The emotional reason is that Spanish is my first language and my dad does not speak English; if I want my son and my dad to understand each other I need him to learn the language. The other reason, the rational one, is that I know the many opportunities that he will have when he grows up and is bilingual. A lot of doors have opened for me for this very reason, and I want to give my children at least the same opportunities that I’ve had. It also sets him up for learning a third or fourth language. If we start later or don’t do it consistently it will be harder for him to be bilingual- not impossible, but definitely harder. Keep in mind that as he goes to school, the majority of his day will be spent listening to and speaking English, and by the time he is in elementary school, he will likely be English dominant, meaning his English language skills will be stronger than his Spanish. I need to set a precendent from the start that at home we only speak Spanish, even when it becomes a chore. Teaching him Spanish works out really well for us, my husband learned Spanish in high school and through his parents’ insistence continued in college and beyond. He is now bilingual, and is happy to speak to our son in Spanish, something I find terribly cute. What this means, however, is that when you see me at the playground, or the supermarket, or anywhere else, I will be speaking to my son in Spanish, even if I get weird looks, or if other parents and children next to me don’t understand what I am saying. I have often felt weird speaking Spanish in front of others, even though it is my stronger language. I worry that people will think I am rude. I know that some people instantly assume that because you are speaking a different language you are talking about them- in my experience this is simply not true. I won’t get into some people’s feelings about the need to learn English because we live in the United States, as I said before, he will be speaking English very shortly and if there was a problem with his academic progress related to his language skills I will be the first one to help him correct it. Very few people have told me that they disagree with what I am doing, and I am grateful for the friends who not only accept but encourage me to keep going, even when they don’t understand what we are saying. But I have gotten some looks, some curious, others bothered. A couple of people have come and asked what language I am speaking, I am always happy to talk to them. If you are next to us, listen closely and you’ve taken a Spanish class before, you’ll recognize simple words, quite possibly the same ones you use with your toddler. If you want to know what I am saying, look at our body language. If I am kneeling, at eye level with my son, and looking stern, I am quite possibly disciplining; if we are both smiling and animated I may be encouraging or commending him for a job well done. I do take some care when interacting with my child and other children. For example if my son takes your child’s toy at the playground, I will often tell my son first in Spanish not to do that, then repeat in English so that your child knows what I have said. I do this because for children our different language may be confusing, however, it has been children who recognize what we say because they watch Dora and get so happy to use their Spanish words. Regardless of others’ reactions, I will not change my mind about this, and I will not switch over to English just because the person next to me doesn’t understand Spanish. Please understand that I have to be strict about it. So next time you see me in the park, and my son greets you with a friendly “Hola,” please answer back. We are not that different, and we are always happy to make new friends. Are you raising bilingual children? What is your strategy in accomplishing this? 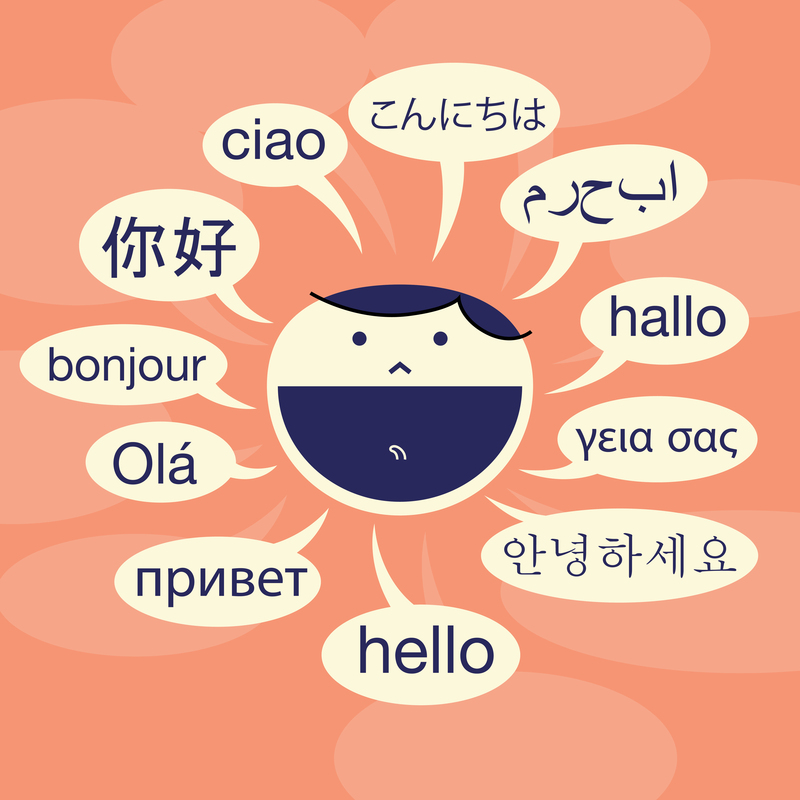 Have you come in contact with parents speaking a different language to their children? How do you feel about it?